Brad (on Facebook) was the first to get the correct answer. 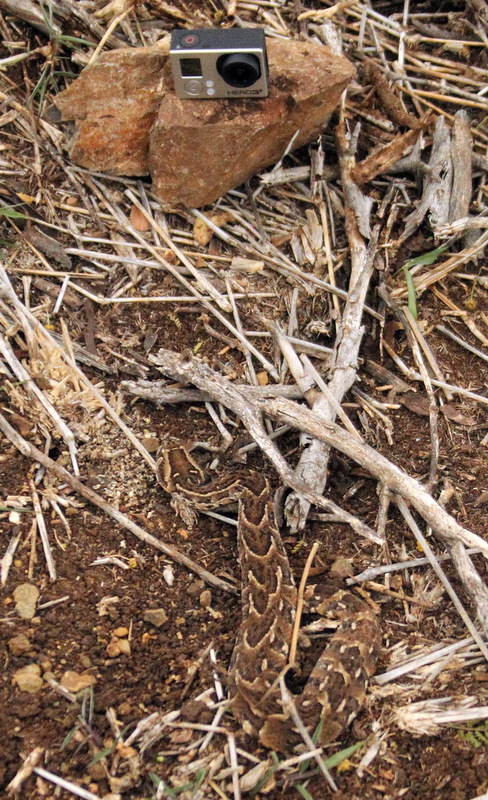 We found this Puff Adder at Thanda House under a stack of fire wood. Due to the cold temperature it was very slow and did not react at all when Letishia took a piece of wood from the pile and discovered the snake. I captured it and relocated it away from Thanda House. 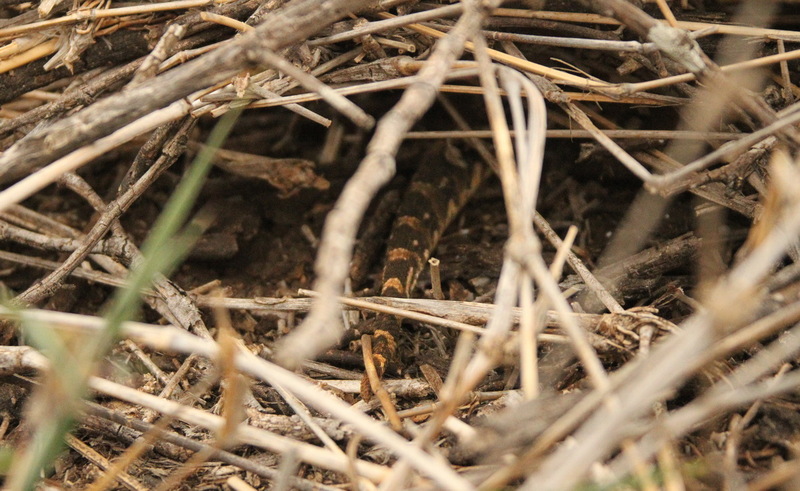 After the release it took a few minutes before this incredibly camouflaged sake moved into the undergrowth. 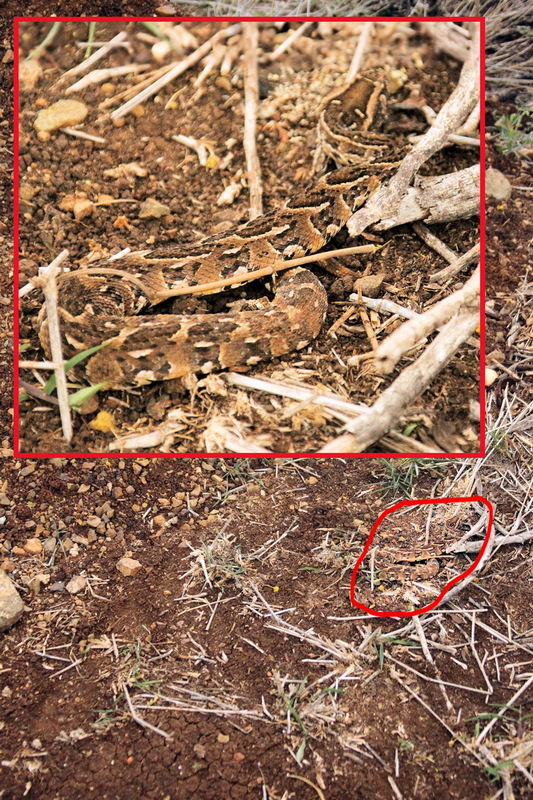 Puff Adders are one of the most dangerous snakes in Africa. 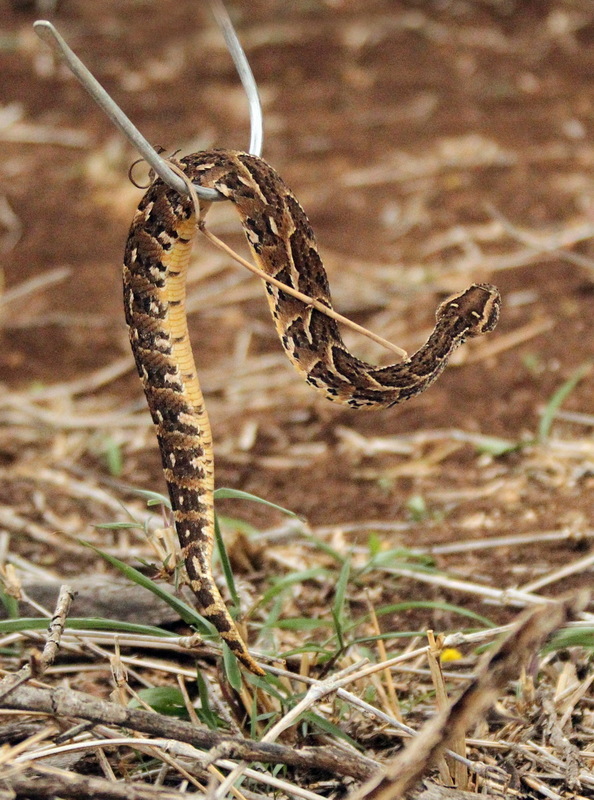 They have a very potent cytotoxic venom and are one of the fastest-striking snakes on earth. Due to the relatively low temperatures at this time of the year this specimen showed no aggression and could be handled quite easily. 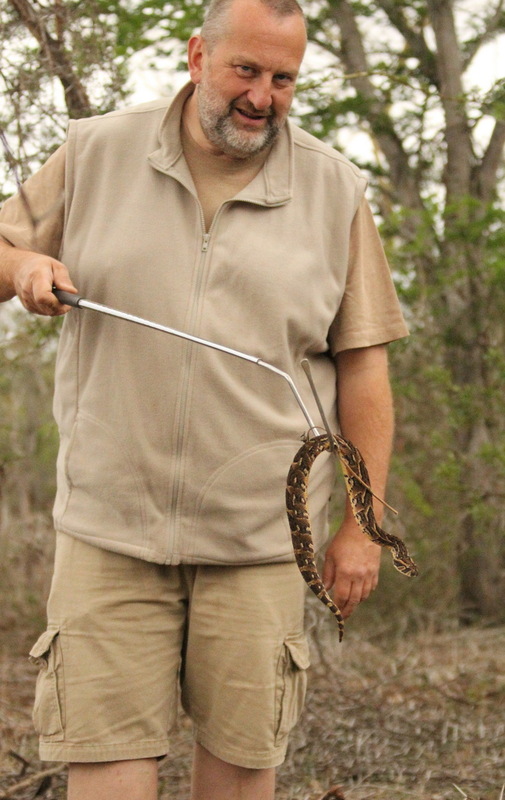 This pictures were taken by Warren Beets (Thanda Reserve Manager) and myself during the release operation. Thanks Warren! 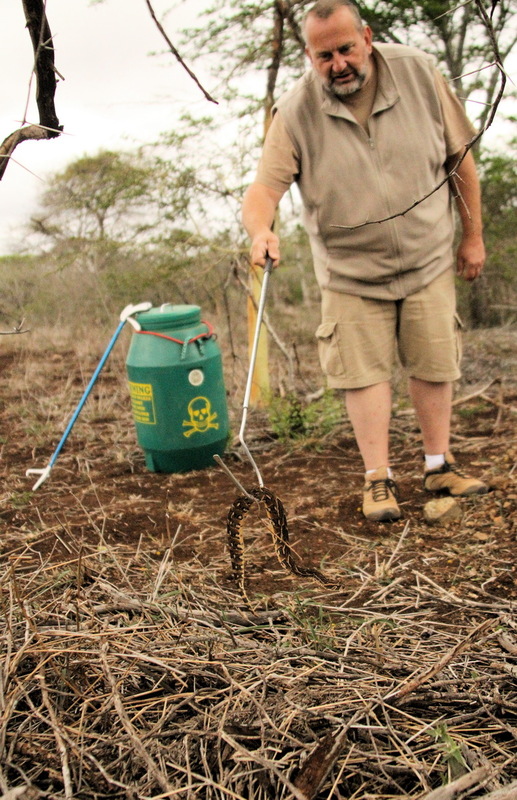 This picture shows me transferring the Puff Adder from the transport barrel to nice spot on the ground (near some undergrowth).